California has the highest number of DACA recipients in the nation. President Trump has been sending signals that he’s nearing a decision on the Deferred Action for Childhood Arrivals program, or DACA, with an announcement possibly coming as soon as Friday. 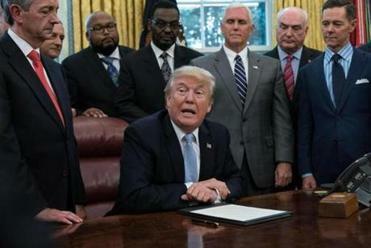 Already, members of his party have recommended the president not end protections for young immigrants eligible for the program, but Trump has largely played to his base when it comes to controversial decisions, and DACA, which was created via executive order under former president Barack Obama, has been on Trump’s target list since his campaign days. So before the fate of DACA is sealed, it’s worth taking a look at who the program has helped. • According to the Pew Research Center, nearly 790,000 young immigrants who previously did not have legal status received work permits through DACA since the program was created in August 2012. DACA recipients, who were brought to the United States before the age of 16 and are also known as “Dreamers,” can work or study in the country for two years, after which they can renew the benefits. Conditions of the program dictate that recipients meet certain conditions such as being enrolled in high school, having a high school diploma or GED equivalent, and not having a serious criminal conviction. “The president has been very clear, he loves people, and he wants to make sure this decision is made correctly,” Sarah Sanders said Friday. • The United States has 1.1 million immigrants eligible for benefits under DACA, according to Pew, meaning that 78 percent of those leigible have applied to the program since its inception. • California has the highest number of DACA recipients in the nation, according to Pew, followed by Texas, Illinois, New York, Florida, Arizona, North Carolina, Georgia, New Jersey, and Washington. 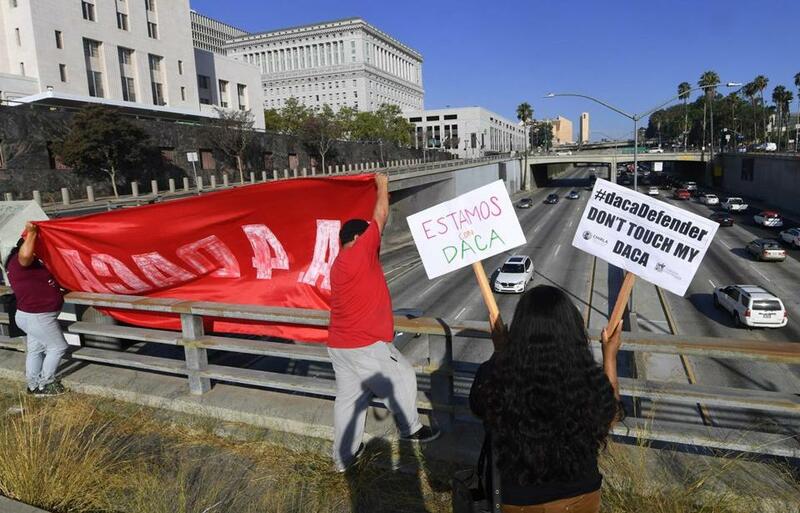 • More than three-quarters of all DACA recipients come from Mexico, according to Pew, which states that 78 percent of approved applications, both initial and renewals, came from immigrants with Mexican backgrounds. • In July, US Senators Lindsey Graham and Richard Durbin introduced legislation aimed at protecting “Dreamers.” Titled the “Dream Act,” the bill would grant permanent legal status to young immigrants who were brought to the United States before the age of 18, have lived in the country for at least four years, and meet other criteria, such as college enrollment.